It’s April, everyone, and you know what that means – it’s National Poetry Month! Each year, the Academy of American Poets "highlights the extraordinary legacy and ongoing achievement of American poets" by celebrating with a host of readings, events, and activities. Check out their fun, thoughtful ways to participate, which include following events on Twitter @POETSorg or getting students to write letters in response to posted poems as part of the Dear Poet Project. But what about local activities, you ask? In January, Philadelphia inducted its fourth Poet Laureate – Raquel Salas Rivera. 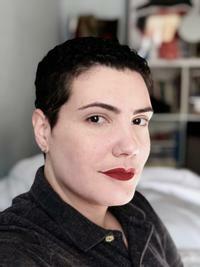 Raquel is a queer Puerto Rican poet and translator. If you haven’t caught up with Raquel’s work yet, you should check out this upcoming event, complete with a reading and interview, on April 4. And if you can’t make it to the event, Raquel’s new book, Lo terciario / The Tertiary is out soon. The Free Library has fantastic events lined up throughout the month, including Author Events from the U.S. 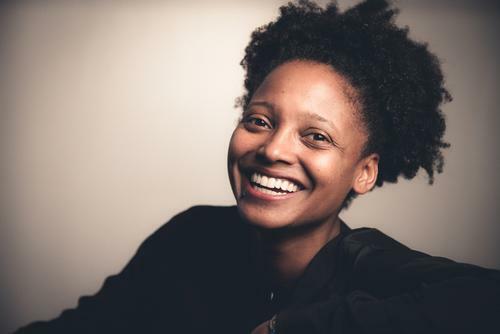 Poet Laureate, Tracy K. Smith; headliner poets Gregory Pardlo and Kevin Young (a Pulitzer Prize winner and Poetry Editor of the New Yorker, respectively); and a variety of great gatherings at the Rosenbach, including a reading by Paul Muldoon and a tour of the Marianne Moore room. You can browse a curated Explore Topic full of poetry in all its forms, including classic selections from our Literature Department, Haikus, poetry for children, and poetry with special appeal for tweens and teens. You can read poets from diverse cultures and in other languages, as well as watch documentaries about poets and fictional films based on their lives or featuring their poetry. If you’re on Facebook, here’s all the “literature” tagged events in April in and around Philadelphia, many of which are poetry-related! The choice is yours, don’t be a bore. Get in on National Poetry Month; you’ll find yourself wanting more! 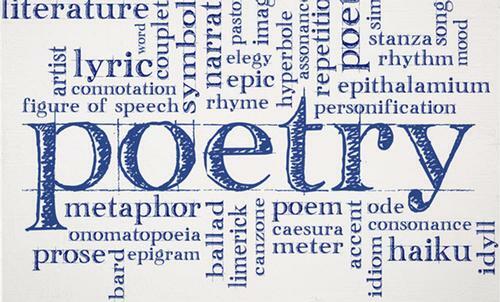 The Academy of American Poets urges everyone to celebrate National Poetry Month.